The Supreme Court on 1 August sent back the 'Dahi Handi' case to Bombay High Court for fresh consideration in view of written submissions filed by the State. A division bench of the apex court, headed by Justice Kurian Joseph and also comprising Justice R. Banumathi, sent back the case to the Bombay High court for fresh consideration. Now, the Bombay High court would decide whether to lift the restrictions on height, and age in Dahi Handi celebrations in Maharashtra or not. The apex court today conducted the hearing on the affidavit filed by the Maharashtra Government. The affidavit states that the Maharashtra Police has issued guidelines for the said event, according to which, the organisers are directed to make arrangements for mattresses for all the Dahi Handi events across the state. To ensure the participants' safety, chest guard helmets and safety belts will be provided. All the participants will be registered for the security purpose. In the guidelines, it has also been stated that a strong network of nylon rope will be used at every venue. Moreover, first aid and ambulances will be ready at the venue. The participants should be given medical facility immediately after being wounded and sent to the hospital, the guidelines stated. 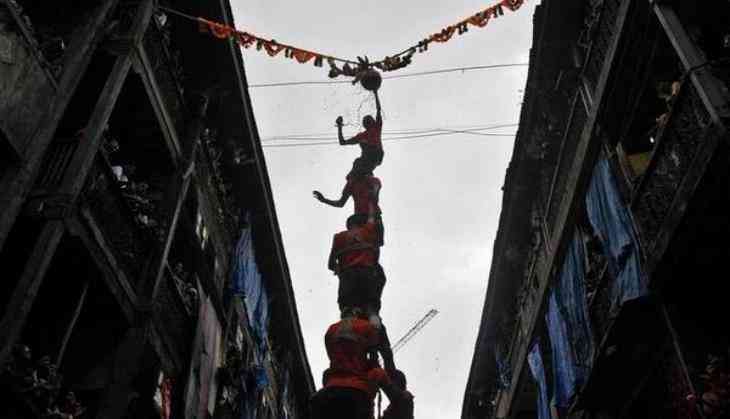 The court had earlier banned youth below the age of 18 to participate in Dahi Handi rituals and restricted the height of the human pyramid to 20 feet.